How can machines reduce their own operational downtime? 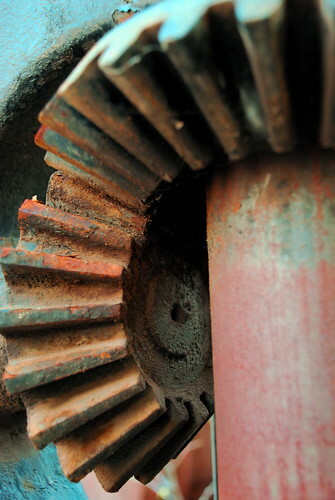 Whatever the type of business may be, any commercial activity that relies on heavy plant machinery or specialised equipment can be at the mercy of whether or not continued operational effectiveness can be maintained at the required level. Downtime occurs when a system or a major component of a required system component is unavailable or offline, meaning that the primary function cannot be fulfilled. The situation can arise as a result of a number of different circumstances, from planned maintenance and repair work through to totally unforeseen systems failures . In an industrial environment, causes of downtime are often classified into three categories, namely operational, electrical or mechanical. There are several strategies for reducing downtime, which as a factor is costly in terms of lost production as well as the heavy risk of damaging environmental concerns. Servicing and maintenance are essential for companies who look to sustain their productivity at optimum levels utilising both proactive and predictive approaches to ensure any potential problems are dealt with before operational issues occur. However, it is a relatively new area that is poised to have the greatest impact on lessening the effects and occurrences of downtime, and that is where the machines themselves take a lead in the maintenance process. A new design and system methodology, whereby a self-maintaining machine can monitor and diagnose itself and its own operational capabilities, could be a great idea. This usually means that a failure or decrease in functionality can be predicted to a level where appropriate action can be taken automatically, leading to continued activity at a reduced but acceptable level. This so called 'functional maintenance' essentially trades off different functions to allow continued activity, thus avoiding downtime and outages. In order to effectively manage any system that has self-maintenance capabilities, it is essential to have a complete overview of all aspects of the production process. Machines with self-maintenance functionality are effectively 'intelligent', having an embedded reasoning system that can make decisions about their own operational capacity 'on the fly'. As part of a carefully planned systems management approach, this innovative area of operations is an essential consideration for any process looking to reduce potential downtime events.